Are You Looking For The Best Mobile App/Application Development Services Company/Agency In Thane, Mumbai? Mobile apps as we all know are application software that runs easily on mobiles as well as tablets for giving end users the same result as we see on computers. Hence most of the e-commercestores or service provider websites wish to get their own mobile application developed for a faster and better reach to potential customers. If you are one who is looking for the same mobile app development services Thane, then you have come to the right place. We will guide you with all the information you need to know before you hire your application development, partner! First, you should know everything that you want in your mobile application. If not everything, a little picture of the main purpose, how it should look, whether you wish to have amobile app for Smartphone or for iPhones or both, some budget plan in mind etc. There happens when you are not technically sound and hence need even consultation along with development. It’s important you do your homework well before you meet the mobile application development Thane team! 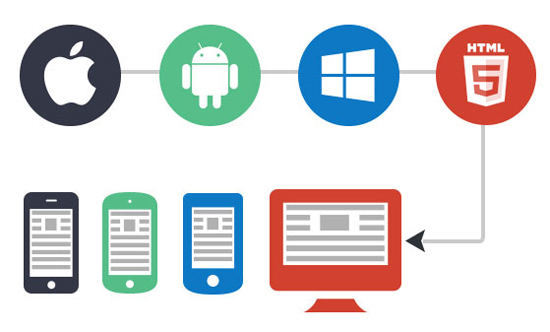 Understand the Mobile app development Services by reading about it online. 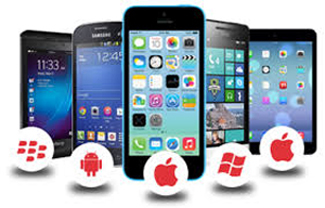 Look for good mobile application development companies in your area. Shortlist the ones which impress you after doing a good research on their reputation and portfolio. Fix up an appointment with their team. On meeting, let them know your basic needs and ask for a free estimate calculation. Similarly, meet other good companies before you make the right decision. The question here arises about choosing the best company for your customized mobile application development. You don’t want to take any risk! Compare the client portfolio of your top 5 liked companies. This will show the technical expertise of each company. Even the project sizes they have already undertaken and business domain expertise could be judged via portfolio. Also, ask the contact person to send you links of their work in companies similar to your business domain requirements. There lies the main kick. If you like the similar work done by them, there you go! A happy customer is the most awarded money an IT company can earn. A happy client can help you a lot in taking adecision. Hence thesearch for the happy clients in testimonials, talk with them and hence know more about the company services and dedication quotient. Wait for their report on your previous mobile apps as this way their work would be tested. It’s simple like you go for a car drive test before buying a car. Some companies act too professional and have hidden costs for almost every activity demanded. Check www.W3idea.com as they are the most genuine company who are more work hungry rather than money.